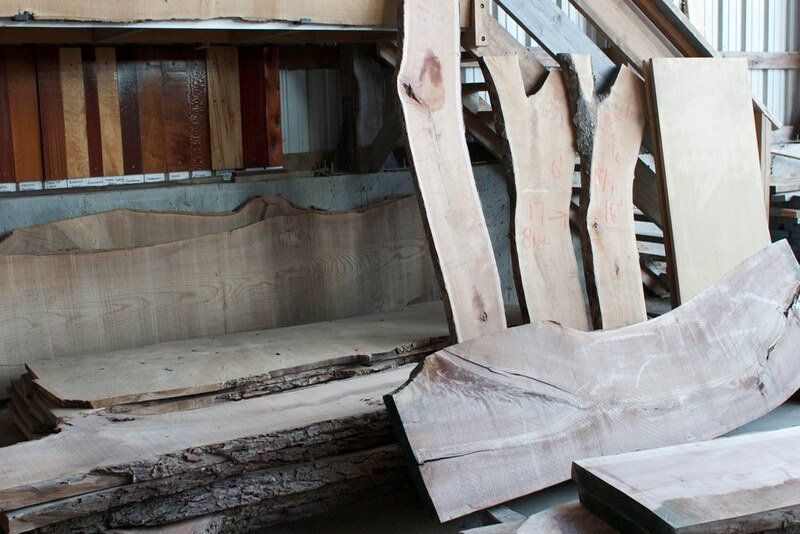 Where I used to live, there was a so called “incredible” hardwood supplier who had a showroom of almost 800 square feet in which to display oak, cherry, poplar, and walnut. Occasionally, they’d get some additional “special” species. Oh, and EVERYTHING was S2S. Boy was I clueless! When I moved to my current town two years ago, I had a heckuva time locating a hardwood dealer. I searched online forever and came up empty… and then finally got to know some guys in the trades and they pointed me to Forest Products Associates, in Greenfield MA (about 10 miles from me). 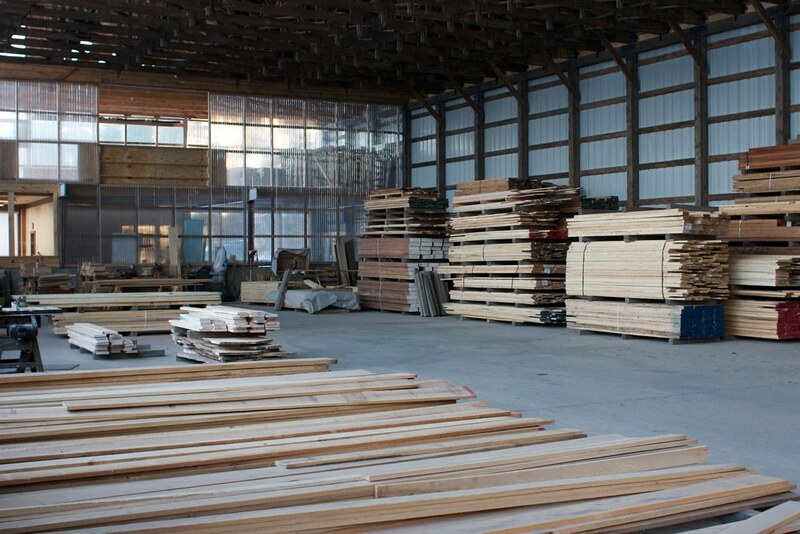 Forest is the cleanest and well organized lumberyard I’ve ever seen. Each species has dedicated rack space, and the racks themselves are spacious and multi-tiered. Materials are well supported and easy to sort through. They will cut down a piece if you need it, if only you’ll leave 3ft or so remaining. —QQ stands for Quartersawn Quality. —Top grade (QS) is “Quality Special”, clear 2 face, straight and flat. —Next is (Q1), “Quality One”, clear minimum 1 face, and allows up to 1/4 inch bend, bow or cup. —Next is (Q20, “Quality Two”, allowing defects on 2 faces and up to 1/2 inch bend, bow or cup. —QZ designates twist or other problem “not good enough to be a Q2”. ... and they also have designations for color/sap variation. EVERY board is labeled with its rating, the number of board feet it contains, and its length. (See the photos.) Every rack bay has the name of the species and the price per BF at the different quality ratings. This is HUGE for two reasons: 1) it makes payment a snap… no calculators or rulers involved and 2) it makes it easy to know what you’re buying. In some cases I’ve loaded the lumber and just brought a cell phone photo of the board ends to the checkout. Clearly, these guys have the right relationships. 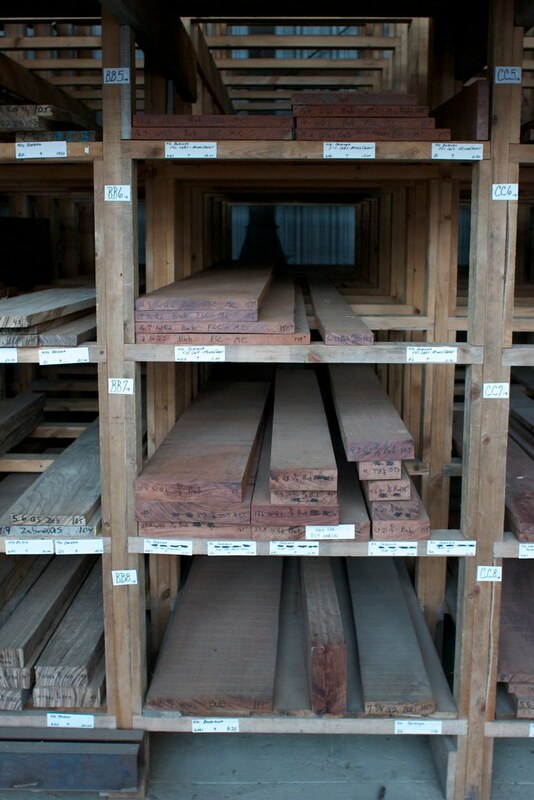 I remember hearing Norm lament that he could barely find enough mesquite to make a couple bookcases; well, at Forest they have pallettes of the stuff. If Christopher Schwarz demands that you make a benchtop from a 5×24x96 inch cherry slab, they say “No problem, we can get that for you.” 12/4? Yup! 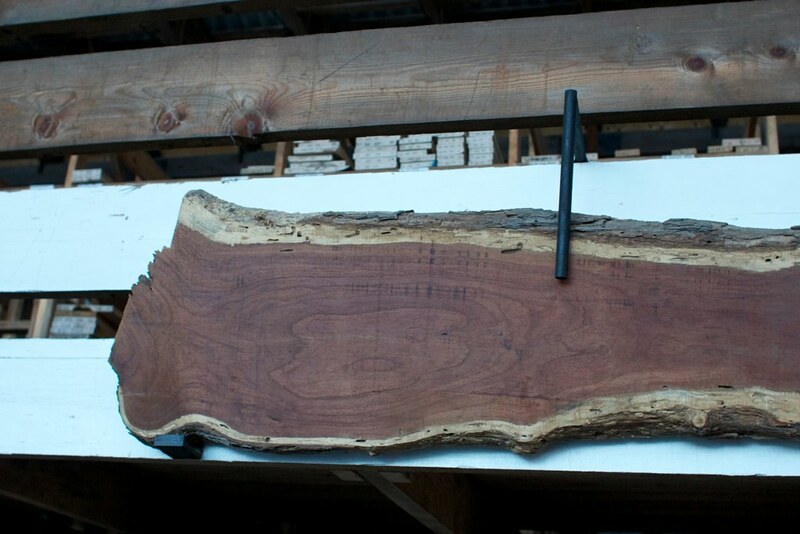 Gigantic live edge slabs? Yup! Crazy species? Yup. Need access to an industrial resaw? They know a guy. Need a huge amount of material for a house? There’s a mill round back. 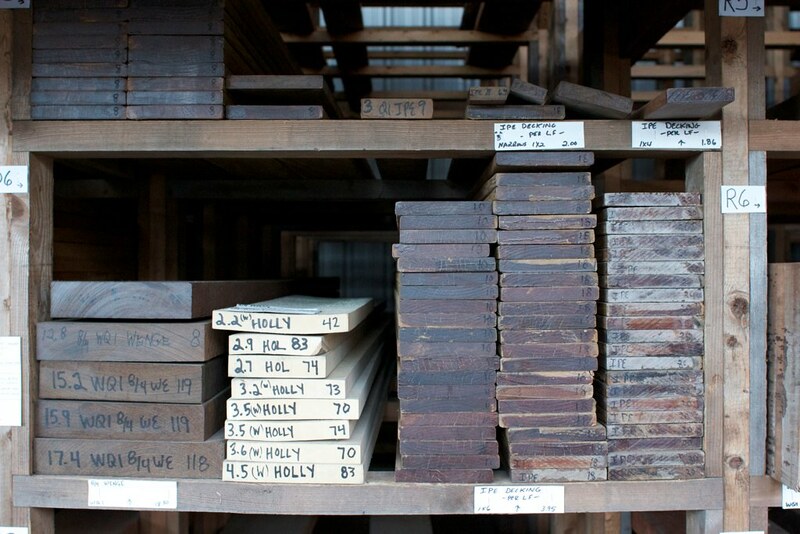 Can you get me a few boards of Unobtainius Woodicus? It will be here Monday. Oh.. and did I mention that they can provide you with 100% FSC certified lumber if you want? That’s sorted and labeled too! I’ve been a customer of theirs for years , my friend , and have already shared the knowledge with others here on LJs and elsewhere….I’m on their E-mailing list as well …how about you ? You better come and visit me at the Woodworking Show this weekend at our LJ booth !!! LOL… I think I was their first facebook fan. Super place… don’t know why it never occurred to me to review them before. I’ll be there this weekend. Probably Sunday but who know… gotta wrangle the kids. I was just up in Gill ,MA this afternoon …picked up some 16” wide Tiger Striped Red Oak , some QSWO , some Tiger and Birdseye Maple and a sweet piece of Mahogany from a Craigslist ad. looks like a real nice selection. thanks for the headsup! Nice place you wrote about, thx for the pics and posy. Thanks David. It is a bit of a haul from RI but certainly do-able on occasion and/or when just the right species, size, etc. is needed. Thanks for the post, it is always good to know where I can get some stock from. Does anyone know of anyplaces that donate to schools? I’ve been to FPA a few times, and have had nothing but positive experiences there. The reviewer is correct in just about every particular. I got great service, decent prices, and a good product. Can’t ask for better than that, especially for a small hobbyist.